Perfect for those with limited time and space, these boxes arrive at your doorstep with a curated collection of products personalized for the you, always with an added element of surprise. Often filled with hard to find or up-and-coming niche brands, they offer the armchair shopper the chance to try new things they might not find elsewhere at a very attractive price. Way ta grow! PlowBoxes arrive quarterly in December, March, June and September. To get the recipient excited about their first box, all new subscriptions arrive with a full-color welcome letter and a small gift. 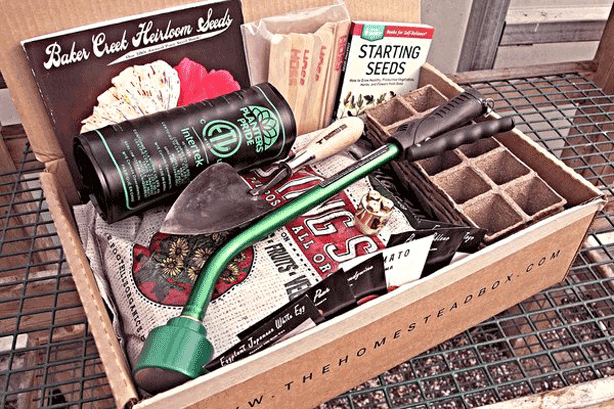 Monthly personalized seasonal and hardiness zone accurate gardening collection arrives with up to three live plants or bulbs plus various care, maintenance, and/or garden decor items. The collections our gardeners and growers assemble are seasonally relevant and hardiness zone accurate. Your box arrives with you need plus simple assembly and care instructions to inspire a bit of DYI fun. You may not have a large parcel of land, but you can still dip your toe into self-sufficient living. 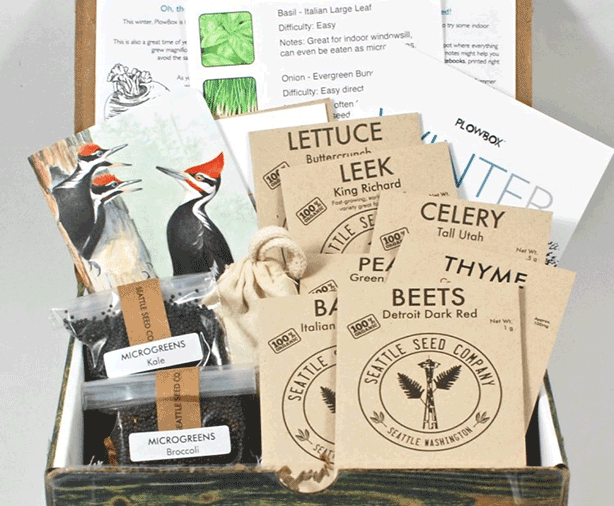 These boxes include practical products sourced from a local community of gardeners, farmers, ranchers, and all around homesteaders. Craftsmen and experts with unique skills will show you how to become a bit more self-sufficient. Select from three size of boxes: Pioneer, Classic or Vintage. Bonus: Free shipping with 6 months prepay. From $24,99 with free shipping. This box is so affordable, you might consider purchasing one for every guest at your wedding, baby shower, or fund-raising event swag bag. Not much experience needed, just soil, sun, and water. Basic Bins include enough seeds, items, & knowledge to get started, while Premium Bins also offer project ideas and tools. Select from flowers, fruits and vegetables, or both. You select from monthly, bimonthly or quarterly subscriptions. 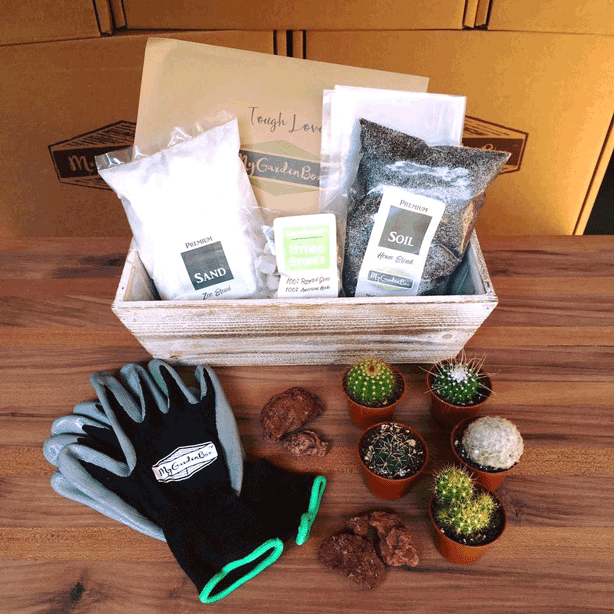 Each box contains a surprise succulent and/or a cactus, repurposed planter, soil, moss, plant care card, and a pouch of white granite pebbles. 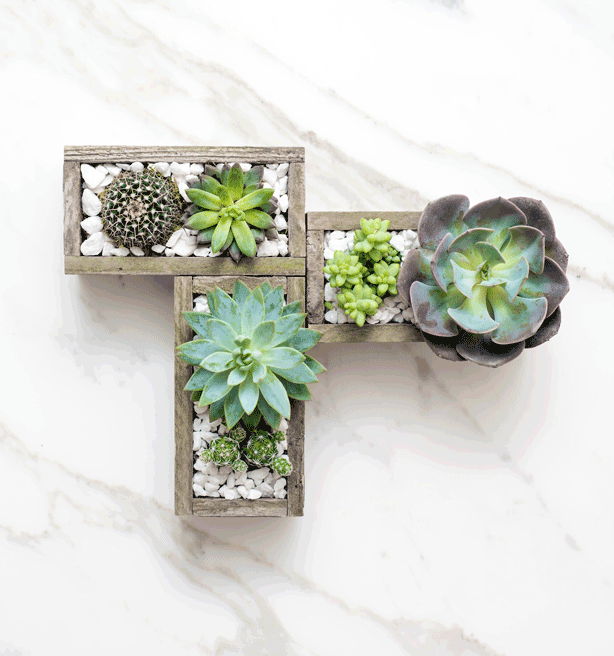 If you are a new succulent collector or want to expand your collection with different varieties, this monthly box may be your thing. 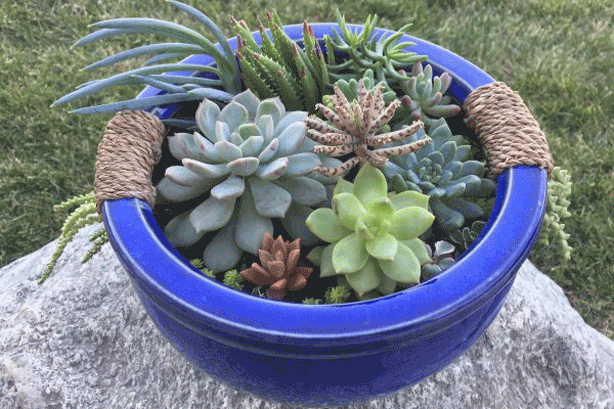 The Just Cuttings box arrives with two different varieties of succulents while The Potted Plant box includes a well-rooted succulent growing in a ceramic planter. For those with yards, even small ones, this is box for you. 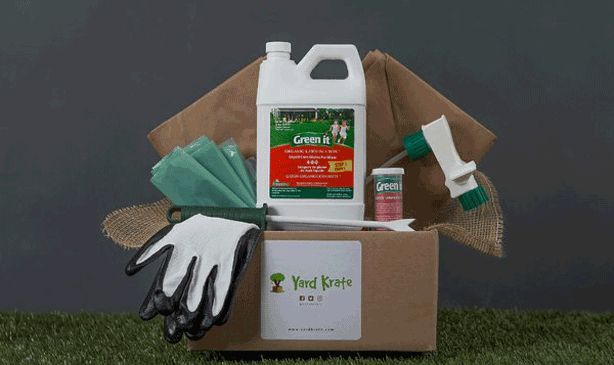 Yard Krate delivers an easy to follow organic lawn and garden care monthly to your door. Tailored to your growing zone, these exclusive organic products are safe for children, pets, bees and the planet. They even include a few tools and goodies–3 to 5 extra items–to make you job even easier. Beginner gardeners rejoice, air plants are perfect for you! 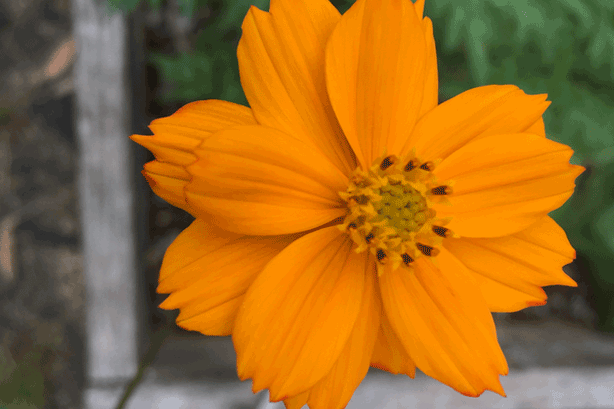 They grow without soil and require very little light. Just mist these babies twice weekly or soak them once a week and fertilize monthly. Subscription includes a new air plant shipped right to your door every month with species info, access to their plant experts via the website, social media, or text message. 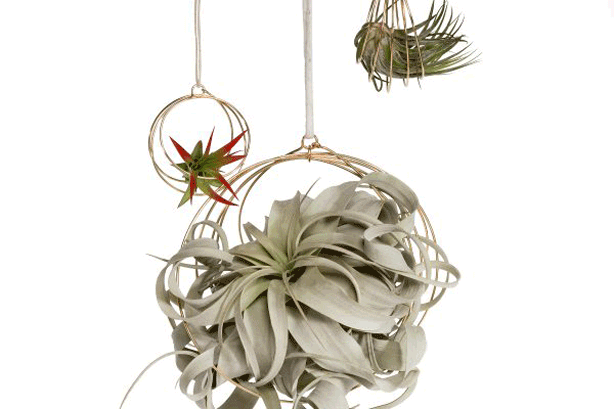 Air plants love terrariums, bowls, to be mounted on boards, or placed in your favorite planter. They also offer succulent and tiny plant subscriptions. Bonus: You will periodically receive extra gifts and coupons. 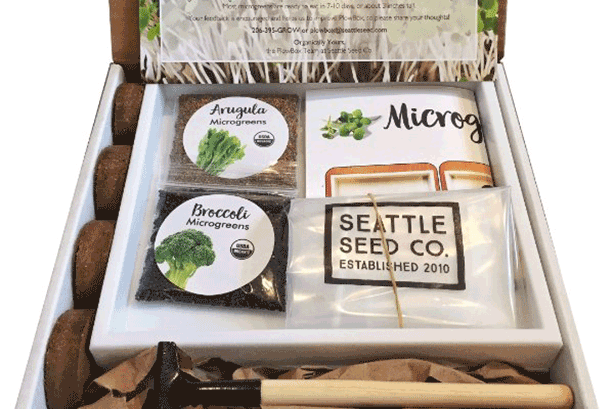 With this subscription–specially curated for ideal growth in vertical systems like Tower Gardens as well as larger aeroponic and aquaponic systems–you’ll receive unique, seasonally selected varieties of certified organic heirloom gardening seeds sourced from a network of USDA certified organic farms. 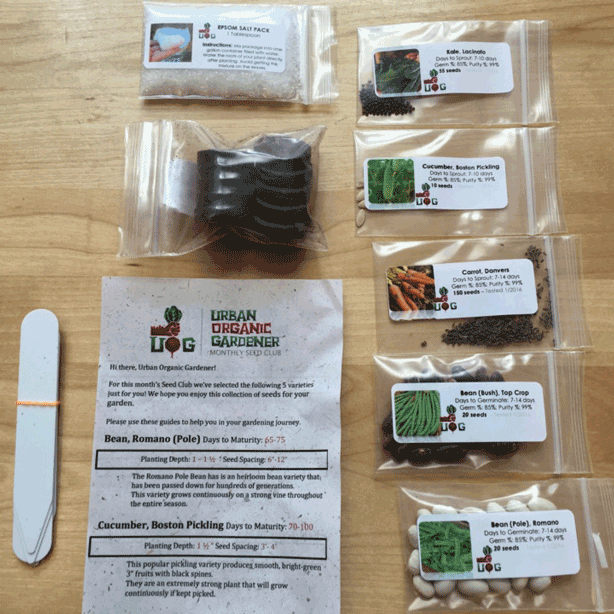 Bonus: members-only exclusive access to their suite of online, growing resources viewable on any PC, tablet or mobile device that will assist you in turning your seeds into baskets full of organic produce. 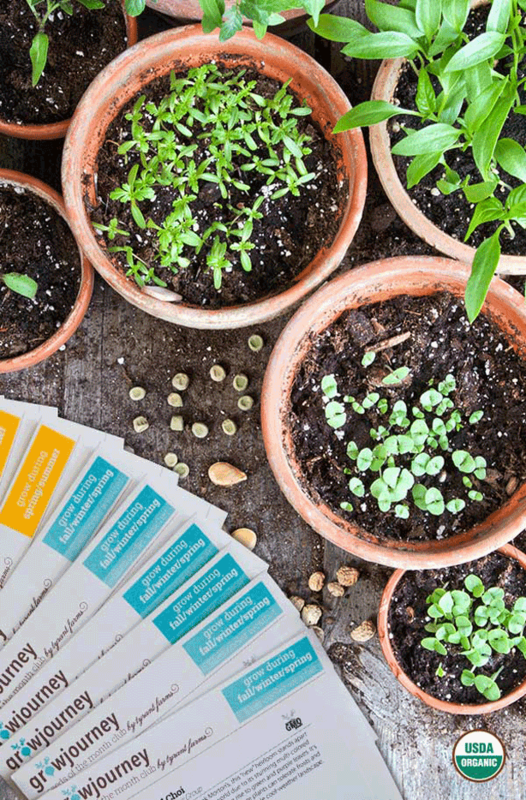 Prices are up to 20% or more less than comparable organic retail seed prices plus you’ll learn how to save seeds to preserve the rich biodiversity of heirloom seeds for generations to come. Quarterly $29.00 + free shipping.